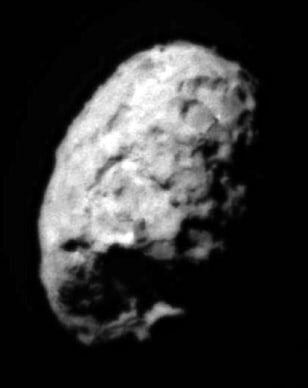 The second image of Comet Wild 2 to be released shows one hemisphere in sunlight and the other in shadow, like a view of the quarter moon. Several large depressed regions can be seen. The comet is about 3.1 miles (5 kilometers) in diameter.